What is a Rifle Barrel Blank? Barrel blanks are cylindrical components of rifled firearms that will ultimately be machined to become a finished rifle barrel. Barrel blanks go through precision machining operations, which, when done correctly, are highly contributive to the overall accuracy of a rifle. The typical firearm barrel blank undergoes a three step process, plus stress relief, before being machined to completion. 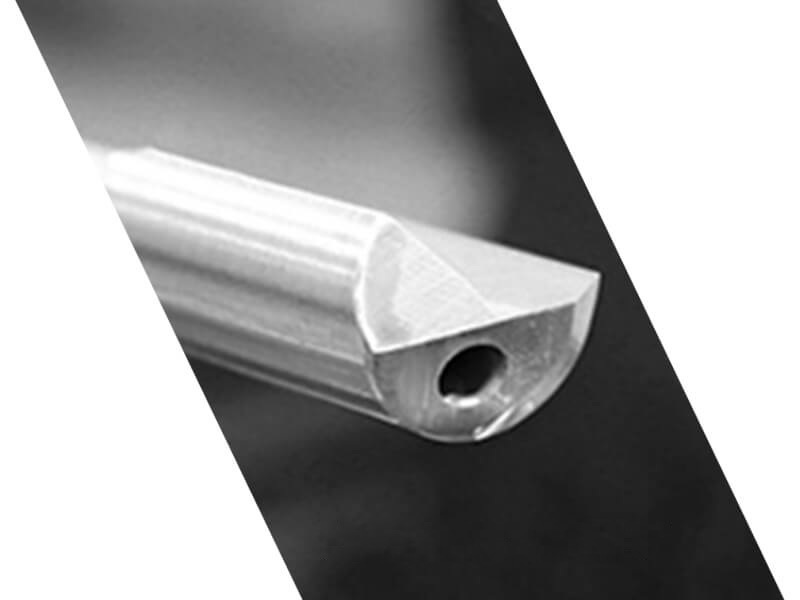 Higher quality barrel blanks start with raw bar stock, most commonly in chrome moly or stainless steel materials, cut to length, and often chamfered before the gun drilling process begins. Cold rolled steel bar stock is double-stress-relieved before beginning the gundrill-reaming-rifling process to ensure uniformity, consistency, and strength. The result is a barrel blank with superior durability and accuracy. Chrome Moly – Chrome moly steel is used for military spec manufacturing, and has been adopted as a common standard across the firearm industry. Stainless Steel – 400 series stainless steel is chosen for its corrosion resistance, tensile strength, and sometimes, appearance. 416R stainless is a very common material for rifle barrels, with a hardness very similar to the chrome moly steel. Gundrilling is a deep hole drilling process, often performed on precision equipment, that allows deeper holes to be drilled more accurately and effectively than with a standard machining center. A gundrill tool uses a brazed carbide tip with through-tool coolant, and uses high pressure coolant to exhaust chips through a notch in the tool. 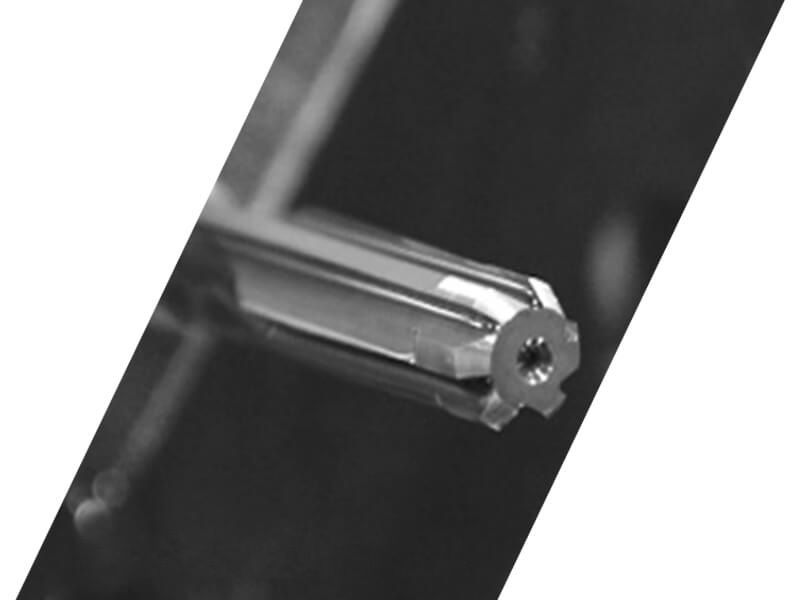 Gundrilling is an extremely straight process, using counter-rotation of the workpiece and tool to minimize drift during the process, ideal for the manufacture of highly accurate rifle barrels. Gundrilling is the ideal process for drilling smaller caliber rifle barrels, as gundrilling is capable of diameters of up to 2.00 in. 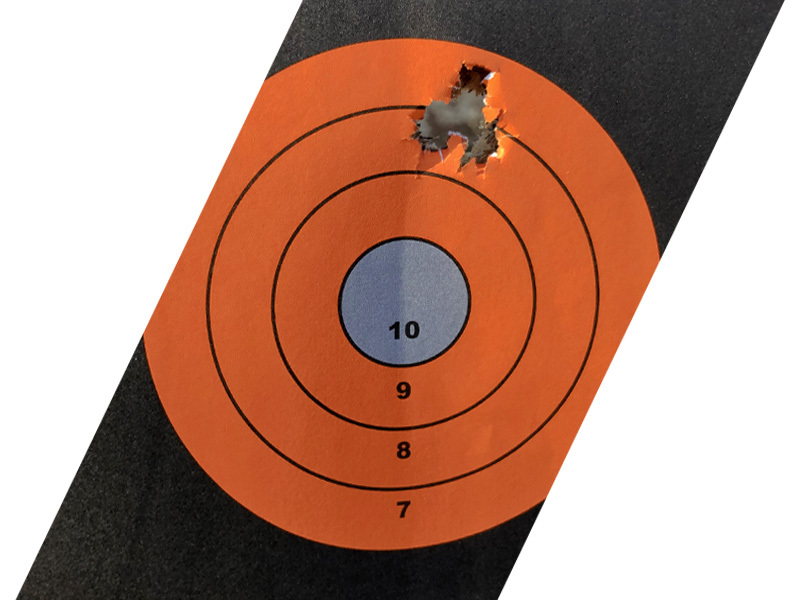 Additionally, gundrilling can reach extremely high depth-to-diameter hole ratios upwards of 200:1, without sacrificing the straightness or roundness required for accurate rifle barrels. Gundrilling in these applications is highly efficient, with typical feed rates of 2 – 3 in/min. After the gundrilling process is completed, barrel blanks are gauged for runout at tool entrance and exit. Because of the controlled counter-rotating process, tolerances are very tight. Exact tolerances are determined per application, by the depth-to-diameter (D:d) ratio, based on industry standards and barrel blank manufacturing experience. 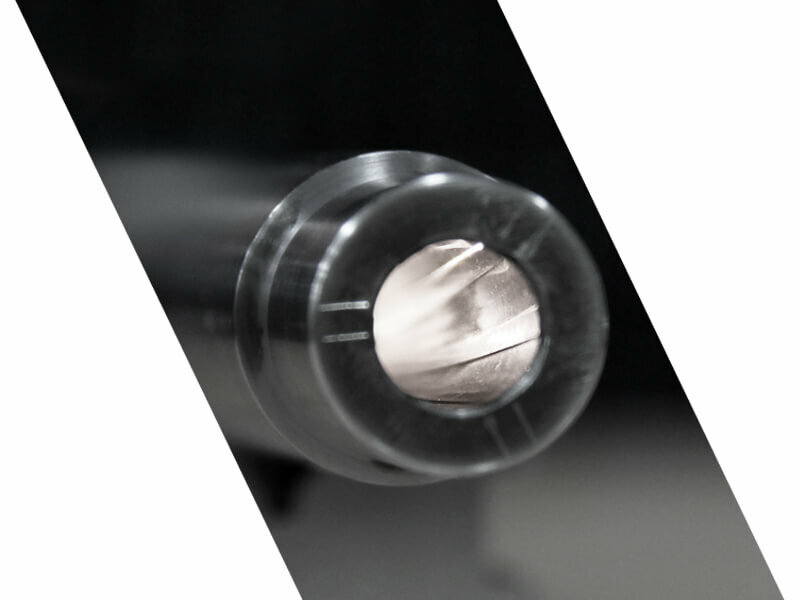 The pull reaming process is used to finish the inside bore of the barrel, and ensure a dimensionally correct inside diameter (ID), as well as a smooth surface finish, to prepare a barrel blank that will promote smooth and accurate firing. A reaming tool has multiple cutting edge flutes that remove a minimal amount of material from the inside diameter, and smooth out any cutting marks that may occur during gundrilling. Reaming is performed on precision reaming equipment, which is based on the same precision and alignment of gundrilling machines. The reaming process also relies on the same high pressure coolant and filtration systems to ensure a powerful, clean process. Reaming tools are pulled through the drilled blank, using tool-only rotation, and delivering coolant directly to the cutting surface to force reaming swarf out the back of the workpiece, for a clean process that won’t mar surface finish during operation. The result is an extremely consistent, uniform diameter barrel blank that will shoot with extreme accuracy. After barrel blanks are reamed, they are cleaned of oil and gauged for circularity and inside surface finish. Typically, an acceptable barrel blank surface finish will be 8 µin or better, to maximize accuracy and function when blanks are finished into rifle barrels and used on a firearm. Reamed barrel blanks are often checked for straightness tolerances with a 6 in gauge pin as well. Rifling grooves in the length of the barrel will induce the spiraling action of a projectile when fired, stabilizing it during flight. Rifle grooves are designed to a specific pitch or twist rate. There are several ways to introduce grooves to the barrel blank, including button rifling, single point cut rifling, hammer forging, and broach rifling. 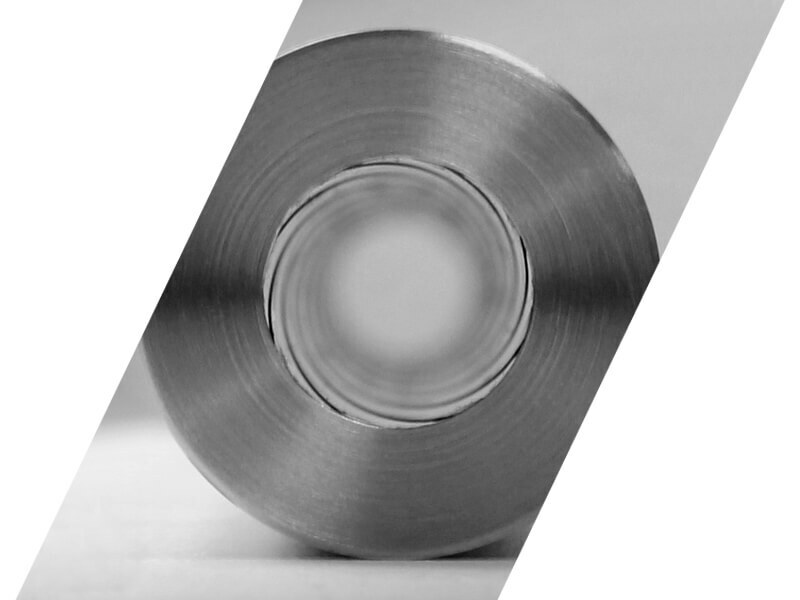 Button rifling, a cold forming process, is most common in production environments because of its production speed, ease of operation, and ultimately, barrel accuracy. A button rifle tool consists of a coated solid carbide form tool with four points, oriented for a specific twist rate of the barrel. Button rifle tool sizes are chosen based on the desired caliber and twist of the finished barrel, as well as considerations of the modulus of elasticity of the material, the outside diameter, and the hardness of the raw material. Button rifling is a pull process, with highly controlled feed and twist rates. The button is pulled smoothly through the barrel blank, compressing the grooves into the inside surface of the barrel to the twist specifications, leaving the land surface at the previously reamed diameter. Rifling machines use servo motor driven headstocks, and hydraulically driven linear motion to ensure that the lands and grooves of the barrel are precise, resulting in rifle blanks with accuracy above the industry average. Once the grooves are rifled into the barrel blank, air gauges are used to verify the diameter of both the bore land and groove, from the entrance (chamber), and exit (muzzle) ends, to ensure that the rifle barrel is within tolerances. Finished blanks are typically cleaned before undergoing the remaining steps to becoming high-precision, accurate rifle barrel. After the barrel blank production is completed, it undergoes a heat treating operation to relieve the stress of the machining process, especially the properties of a cold forming process such as rifling. During this process, barrels are aligned to maintain straightness, and heated to a temperature based on the stock material, then brought back down to ambient temperature in a controlled time process. Stress relieving of barrel blanks ensures that the barrel will hold its straightness and dimensions as it is turned and finished into a rifle barrel, and installed and used on a functioning firearm accurately and reliably. After being drilled, reamed, rifled, and stress relieved, parts are considered barrel blanks. In order to finish these parts into a rifle barrel, they undergo a series of subsequent operations, including, but not inclusive of contouring, chambering, finishing, and testing, before it gets installed on a full rifle assembly and is ready to accurately fire.